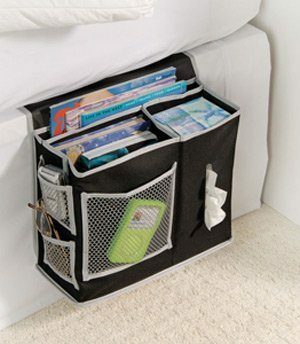 Bedside Storage Caddy Just $4.01! Ships FREE! You are here: Home / Great Deals / Amazon Deals / Bedside Storage Caddy Just $4.01! Ships FREE! Order this Bedside Storage Caddy for just $401, down from $26.10 Plus FREE Shipping! This is great for organizing your books, tv remote, and other miscellaneous things – especially if you have a small bedroom with little room for a nightstand, or you just want to keep the top of your nightstand uncluttered!